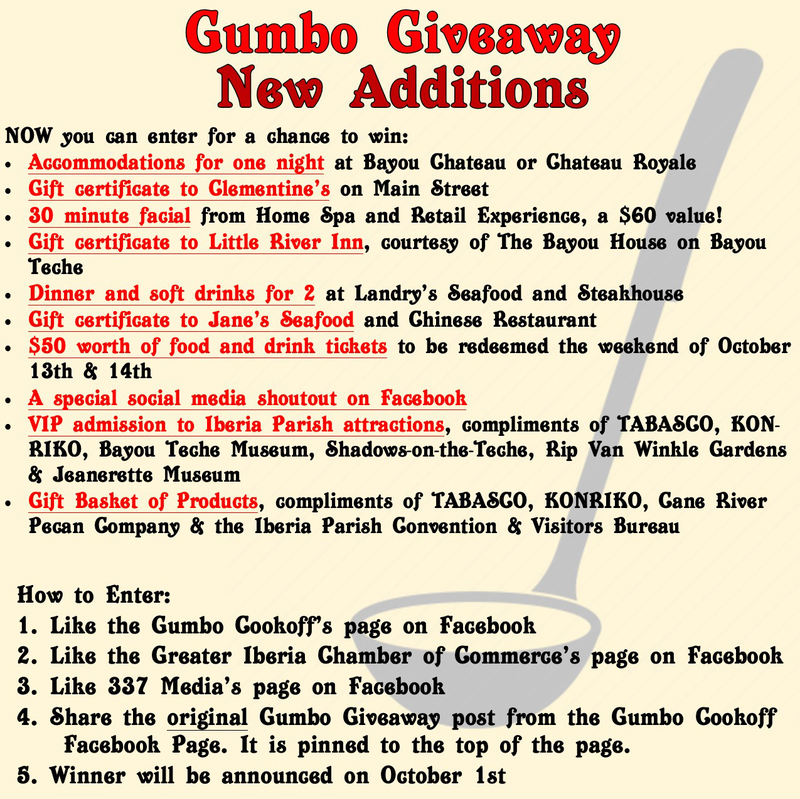 If you aren't excited enough for Gumbo Weekend, here is something that is sure to get you in the mood! We are proud to announce that in conjunction with 337 Media, Iberia Travel, and the Greater Iberia Chamber of Commerce, the first ever VIP Package will be awarded to one lucky winner on October 1st. Check out the image below for full details.